Size: 22 1/4 x 28 1/2 in. 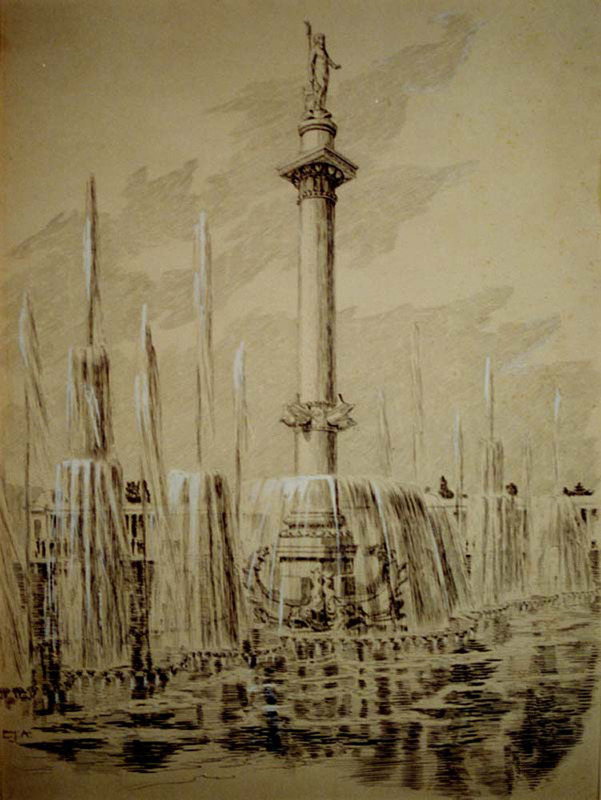 Illustration of Neptune atop the Fountain of Nautilus in the west end of the lagoon. Fountain turned on. Framed illustration.